To celebrate the 50th birthday of Destiny's CEO until April 30th 2019 we are offering 50% off the upfront price of our Portfolio Success program which includes our Essential Property Education Course for the first 50 to enrol. 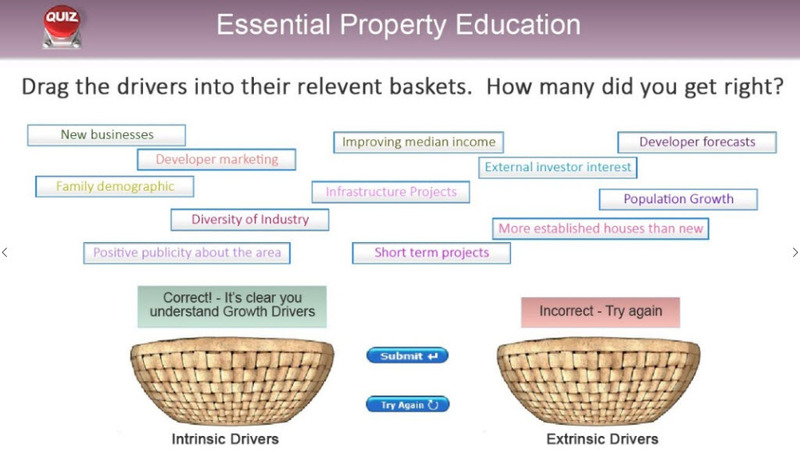 The Essential Property Education course is where smart property investors start their portfolio building journey. It is designed to give students practical property investment skills, advanced knowledge and useful resources to effectively invest in property. The course was developed by best-selling author, respected property expert and founder of Destiny, Margaret Lomas. It is highly practical, with the knowledge gained immediately applicable. This course is a genuine education course and not designed to sell you property. Now presented as a high quality, self- paced online training package, this unparalleled course will change the way you invest in property. Whether you are new to property investing or you have already begun, this highly professional course includes tutorials by Margaret Lomas, presented in a fully interactive environment with learning objectives, activities, quizzes and a huge collection of resources, all designed to ensure that your property investing is as successful as possible! Learn about tax, depreciation, conveyancing, property management and MUCH more! Essential Property Education courses are only supervised by Qualified Property Investment Advisers (QPIA®) who are experienced property investors. Individual attention is assured with direct access to your instructor via the on-line training portal. This course is suitable for anyone who wants to invest in Australian property and outlines all property investing strategies. It is also appropriate for anyone who has already commenced a portfolio, but would like to improve investing outcomes or invest more successfully. The course is presented in bite-sized video tutorials which range between four and seven minutes each. Each tutorial is packaged within a learning system which includes activities to develop real skills and quizzes to reinforce learning. The course contains 68 modules which can be completed online at the learner's own pace within a 3 month period. Each module can be started and completed at any time, and reviewed as often as the learner desires provided they complete the course within the 3 month period. Each module is a different length, from approximately 5 minutes to up to 20 minutes, giving an overall course length of around 30 hours (depending upon the learner). I found the course excellent, it was very informative, professional, It was both well written and presented. It is evident that a lot of work, care and experience has gone into designing it. The course was also easy to understand, well layed and interesting which kept me motivated and engaged until the end. Most importantly, the course was enjoyable and provided me with the confidence that I now have the necessary skills and tools to build a successful property portfolio. I would highly recommend this course to any person interested in investing in property, the education is value for money. Well done and thank you Destiny. Hugely informative with a lot of useful relevant information. I highly recommend this course. The course was fantastic! The content is well explained and interactive plus there are plenty of resources to aid in learning. I am eager to put what I have learnt into practice. 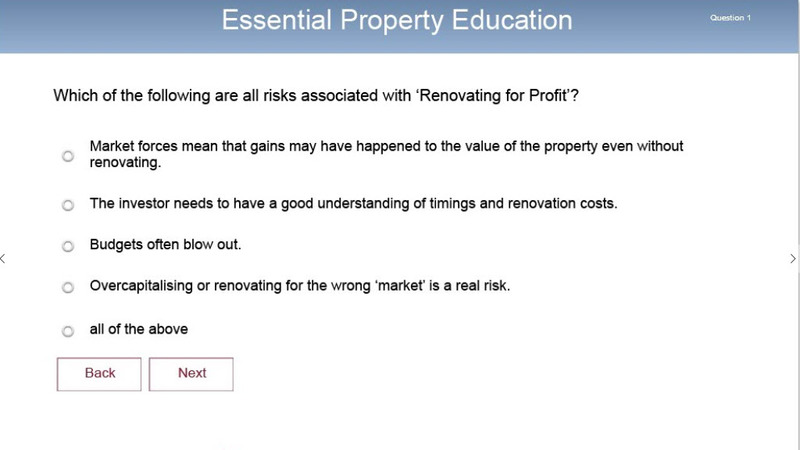 I have Really enjoyed this detailed property investor course. The combination of Margaret's video's, folder, book and the flexibility of being online was PERFECT for me. I really feel excited about learning and using the DestinyLive portfolio system with my future properties. This course is essential for any smart investor. It's comprehensive. It provides the essential platform for building a successful property portfolio. Excellent informative course. Well structured, good content and ample time to complete. I would have liked a little more on how to interpret the research data in the current climate so I had a benchmark to work from. Apart from that I thoroughly enjoyed the course. Very comprehensive. Support was excellent. Very happy that I made it through and am excited to get started on purchasing my first property and growing my portfolio. This course was incredibly informative and highly practical. All bases I feel have been covered and I am now ready to go and invest confidently. Brilliant Course. I would recommend to any budding investment property individual! Thanks Margaret you are an inspiration. Thank you Margaret for the gift of education! Brilliant and ideally I would love to retake again soon or use as a refresher. Very comprehensive and I like the self-paced training schedule. Thank you very much Margaret! This course was really well structured in an easy to follow, "bite size chunk" format - before I knew it I had completed the last module! There are plenty of good reference materials provided as well as practical information and tips. This course provides a great basis for my property investment journey - now the hard part, putting the theory into practise! However, I feel much more confident in taking this next step after completing this course! Thoroughly enjoyed the course, comprehensive yet easy to understand and follow. I thoroughly enjoyed the course. It was very informative and I now feel that I have a greater knowledge about property investing and I'm also a lot more confident in my ability. I can't wait to begin my journey. Thank You !! To find out more please contact one of our Property Investment Advisers, or call us on 1300 My Destiny (1300 693 378) if calling from within Australia or +61 2 4302 1849 if calling from outside Australia. Don't forget for the first 50 to enrol by April 30th 2019 we are offering 50% off the upfront price of our Portfolio Success program which includes our Essential Property Education Course to celebrate the 50th birthday of Destiny's CEO.